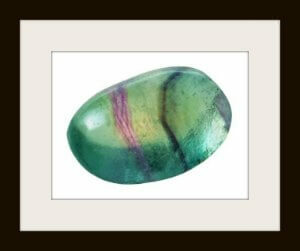 Fluorite is said to help rekindle sexual appetite and heighten intuitive powers and spiritual awakening. While making one aware of higher levels of reality it grounds and protects you for over-stimulation on the psychic plane. This stone comes in a wide range of colours including red, pink, orange, yellow, brown, green, blue, purple, black, grey, clear, white and banded / multi-coloured. Therefore the above information can be read in conjunction to the colour of the particular stone. Fossils can help increase accomplishments in the area of business and add excellence to one's environment. They also aid one in being open to change and new ideas. Traditionally, fossils have been used to aid in curing diseases and ailments of the skeletal system, bones, hands, and feet.